Louise Cullen is a Pre-Eminent Staff Specialist in Emergency Medicine, a clinical trialist and outcomes researcher in acute diseases. She is enthusiastically involved in the translation of research by clinical redesign and innovation. As an accomplished acute disease researcher, Prof Cullen has focused on the diagnosis and management of patients presenting with possible Acute Coronary Syndromes (ACS) in the Emergency Department (ED). She has been engaged in many international collaborations (including ASPECT and ADAPT studies) She has authored over 100 publications in peer-reviewed journals including The Lancet, focussed on strategies to improve efficiency, whilst maintaining safety for patients with possible ACS, syncope, heart failure, shortness of breath and atrial fibrillation. More recently Prof Cullen has focussed on Health Services research and investigating methods to use medications and other resources in the ED wisely. She led the CREDIT trail, aimed at reducing unnecessary peripheral intravenous cannulation in the ED. Professor Cullen’s mantra is that “you do not do research for research sake” and as such, clinical redesign and translational research is a key part of her endeavours. Tel: (+ 61 7) 3636 7901. Fax: (+ 61 7) 3636 1643. Prof Cullen has been extensively involved translation of research findings into changed clinical practice. She is currently the Clinical Lead in the Accelerated Chest pain Risk Evaluation project (ACRE 2012-8), implementing changed practice models of care across Queensland Health for ED patients based on her research. This change has translated into significant improvements in ED efficiency while maintaining patient safety. 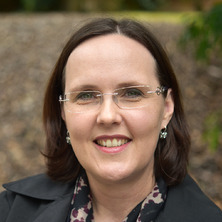 She was awarded the Metro North Chief Executive Award for Research in 2018, QH Metro North Research Excellence Award: Integrated Care and Health Services Research in 2016, the Australian Society for Medical Research: Clinical Research winner in 2016 and Most Outstanding Redesign Practitioner in 2013. The examination of investigations and long-term outcomes following cardiac enzyme testing in patients presenting to the emergency department with chest pain. Thomsett, Richard and Cullen, Louise (2018) The assessment and management of chest pain in primary care: 'a focus on acute coronary syndrome'. Australian Journal of General Practice, 47 5: 246-251. Thomsett, Richard and Cullen, Louise (2018) The assessment and management of chest pain in primary care: a focus on acute coronary syndrome. Australian Journal of General Practice, 47 5: 246-251. Response by Than et al to Letter Regarding Article, "assessment of the European Society of Cardiology 0-Hour/1-Hour Algorithm to Rule-Out and Rule-In Acute Myocardial Infarction"
Does uric acid level provide additional risk stratification information in emergency patients with symptoms of possible acute coronary syndrome? Towards a consistent definition of a significant delta troponin with z-scores: a way out of chaos? Cullen, L. and Parsonage, W. (2013) Acute assessment of possible cardiac chest pain. Medicine Today, 14 12: 41-44.